I've been spending a lot of time looking at the work of Vilhelm Hammershøi, a distinctive Danish painter born in 1864. I first encountered his painting on an anthology of Ibsen's dramatic works, and was struck by its starkness and simplicity. Since then, I've discovered that Vilhelm Hammershøi is a painter that continually returns to the same kind of subjects again and again - and it's a compulsion that I find fascinating. Much like Edward Hopper, Vilhelm Hammershøi often paints solitary figures that appear on the brink of some kind of narrative. There is also a keen attention to light and shade in austere, minimalist spaces that are characteristic of much of Hopper's work. But, for all their similarities, the two painters are of course worlds apart. Edward Hopper is a painter of Americana, of familiar twentieth-century settings and Hollywood everyman archetypes. 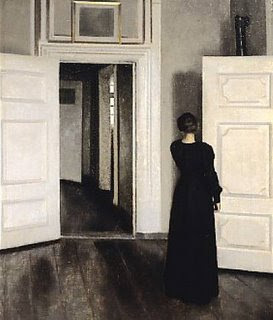 While Vilhelm Hammershøi often paints faceless solitary women contained within a Victorian domestic space. What is perhaps a little odd about Hammershøi's paintings is that while they seek to depict a traditional nineteenth century reality, there is something that feels distinctly modern about them. They appear free from the moralizing concerns of other contemporary realist paintings of the time, and instead appear to be making a comment or a social critique on their respective subjects. 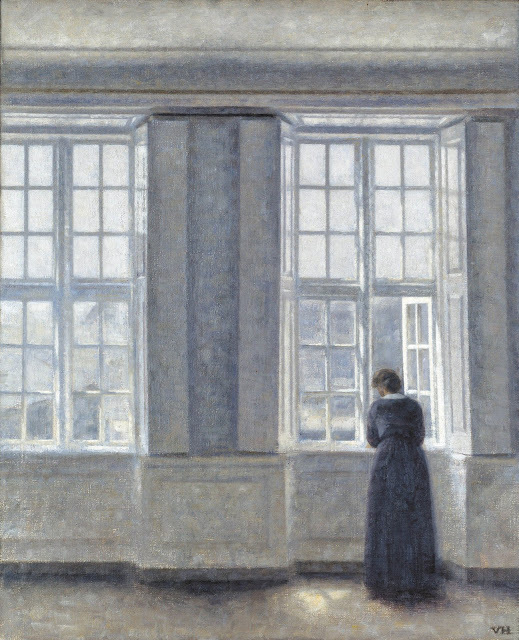 It's not difficult to understand why Hammershøi has been used on the cover of A Doll's House, or why the composition of his paintings has inspired dramatic productions of Henrik Ibsen's work. But what appeals to me most about Vilhelm Hammershøi is the simplicity of the composition, and the position of each painting's protagonist. There is something both fascinating and compelling about their solitary nature, and something oddly creepy about their surroundings - which appear to trap them within their confines. Most of all, the silences appeal to me: there are so many mysterious rooms, half-seen corridors and quiet, muted colours. 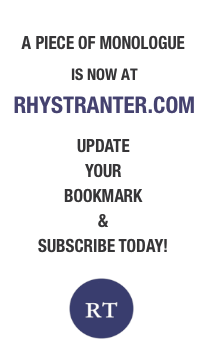 You can read more about the painter's work at the Royal Academy of Art's website, which recently held a retrospective entitled 'The Poetry of Silence'.